Arrange for a stress-free ride to Lihue International Airport (LIH) with this private transfer service. 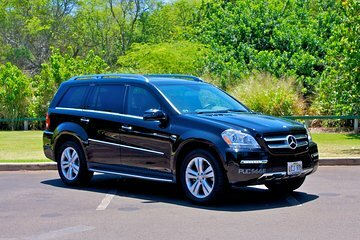 Meet your driver at your hotel in Lihue, Poipu or Princeville, and relax on the journey to the airport in a luxury sedan, SUV or limo (depending on the size of your group). You MUST select a hotel that coincides with the area in the itinerary section of this product. Failure to do so will result in a cancelled booking. An easy and hassle-free way to end your vacation!